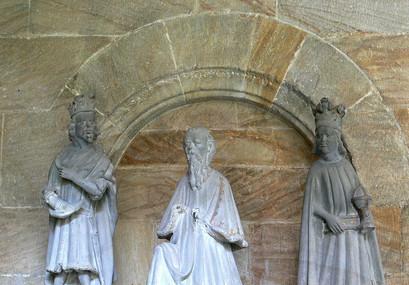 The diocesan museum emanated from the Bamberg Cathedral. It is home to a rich collection of liturgical objects, relics, paraments and books from the Bamberg Cathedral treasures. The Imperial Star Cloak which was once gifted to Emperor Heinrich II is a major highlight of the museum. Various rooms in the museum exhibit very informative displays along with an audio guide. Guided tours are available every Saturday at 3 pm. Audios are available in different languages at the museum. However, the information in other languages is minimal. You cannot take photographs in the museum. How popular is Diocesan Museum? People normally club together Bamberg Cathedral and Altes Rathaus while planning their visit to Diocesan Museum. Several interesting pieces and a wonderful location! Very beautiful and interesting museum. There are so many antique art pieaces. You can see catholic treasures. Sehr interessante Ausstellung im Bereich kirchlicher Kunst der letzten 1000 Jahre im allgemeinen und dem Bistum Bamberg mit seinem Dom im speziellen. Günstiger Eintrittspreis, freundliches Personal, einzigartig sind Papstornat und Kaisermäntel im Obergeschoss. Tolle Sonderausstellungen! Aber Achtung, Toilette ist nicht ausgeschildert, wenn man im Foyer steht die Tür rechts zwischen Kaffeemaschine und der Figur der Kunigunde.